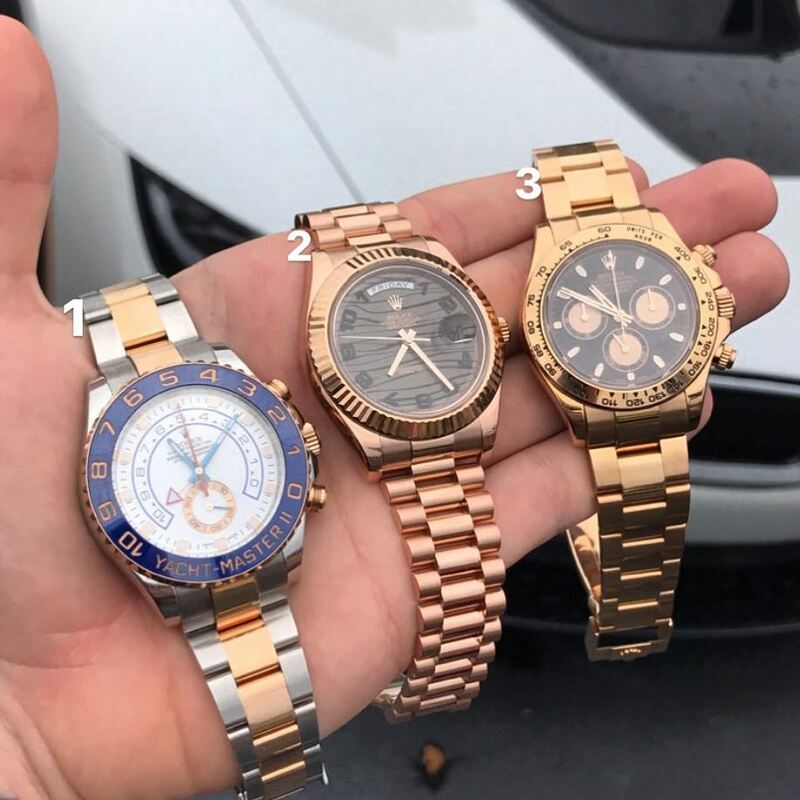 Rolex is an iconic brand that brings you luxury watches. Founded by Alfred Davis and Hans Wilsdorf in London, United Kingdom, Rolex is one of the most recognizable brands worldwide. 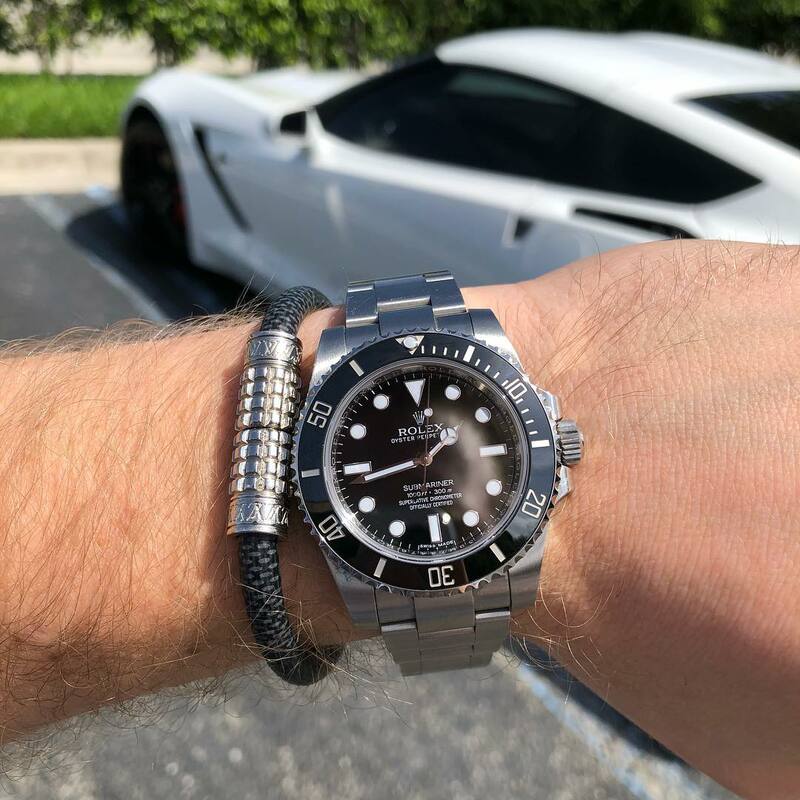 Many can recognize Rolex watches by its one-of-a-kind bracelet. The oyster perpetual band a a thick tight linked rough style that only Rolex makes. There are many copycats, but none even close to the original. Many watches Rolex puts out are the Datejust, Daytona, Day-Date, and Submariner. 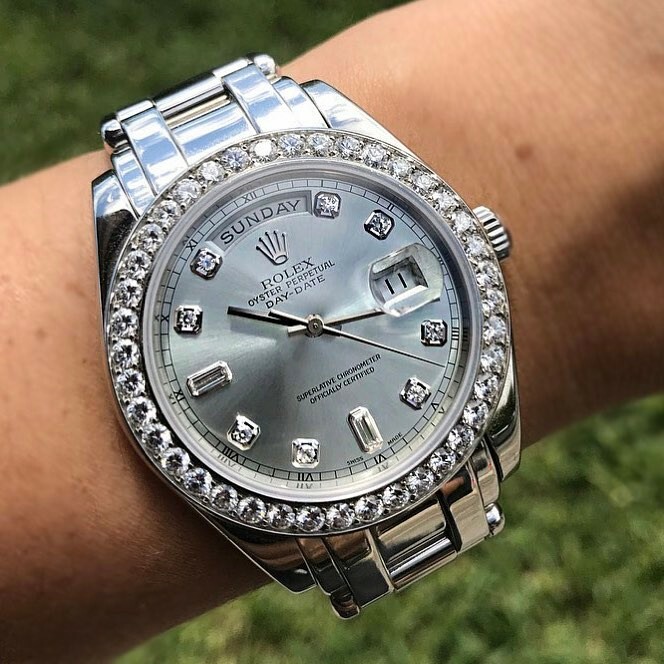 More recently Rolex has started making Datejust II and Day-Date II models which are a more contemporary style of the classic Datejust and Day-Date models. 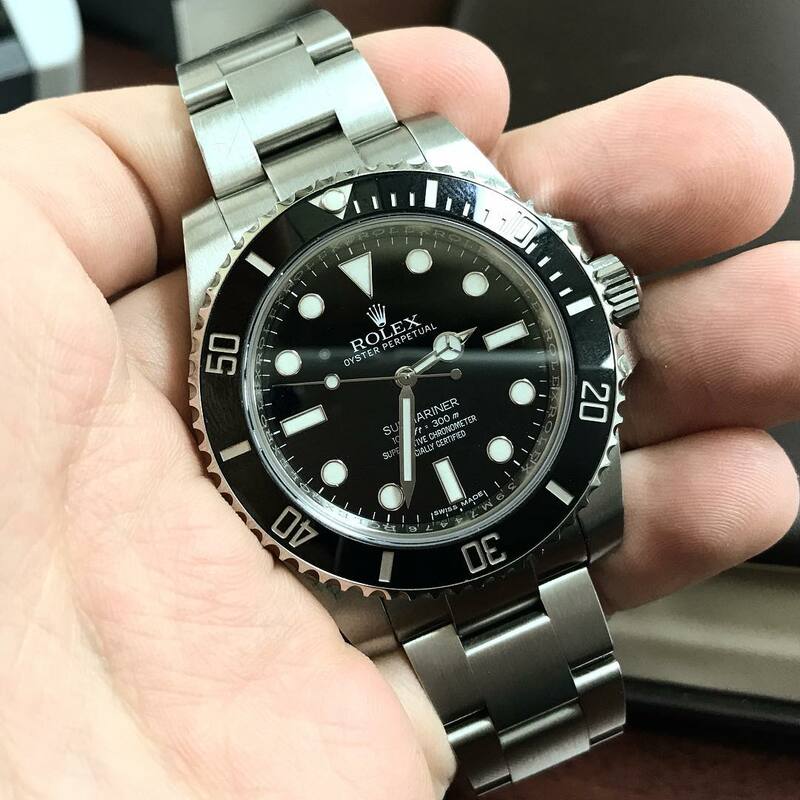 Rolex is mainly known for making automatic watches. Automatic is highly desired because it doesn’t run on battery, kinetic energy keeps the watch running. What this means it whenever the watch is worn or constantly moving, that is when the best time is kept. A Rolex watch is meant to be worn everyday, if the watch is sitting for long periods of time it will need to be rewound to keep time again. 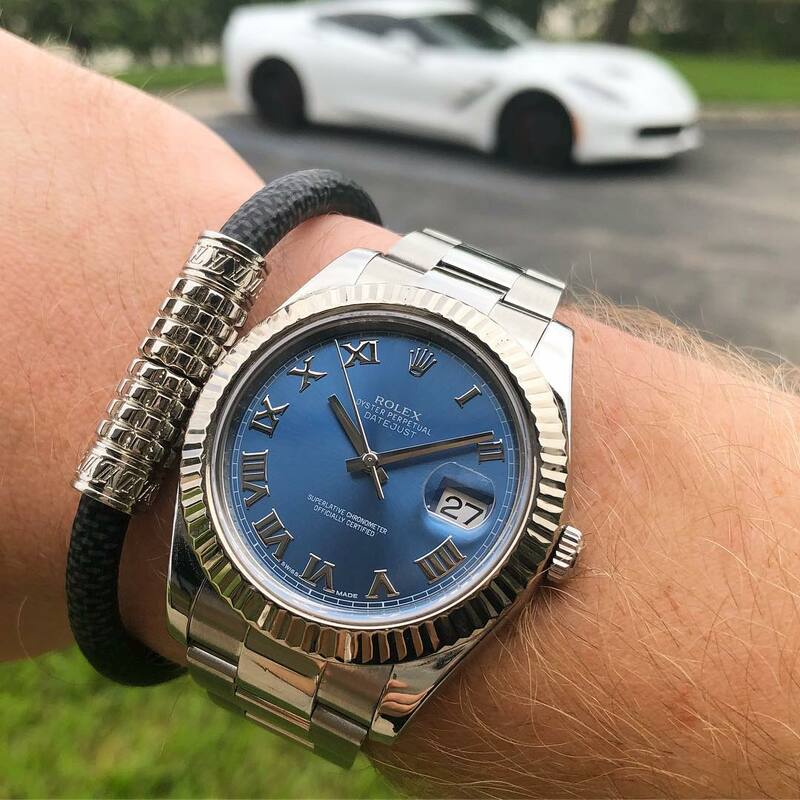 The Rolex president, which is a Day-Date with a presidential bracelet is called the President, because John F. Kennedy wore one back in the 60’s. It was an 18k yellow gold President, engraved on the back by Marilyn Monroe. She gave John F. Kennedy this watch as a birthday gift.